Our range of products include round bar peeling machine, steel bar peeling machine and bar peeling machine. We are engaged in the manufacture and export of Round Bar Peeling Machine that comes with coolant pump motor and hydraulic power pack motor. These robust and operationally fluent machines are placed over a cutter head on a revolving spindle and bar that moves on feed rollers. Made available in numerous specifications, the proffered range is widely popular for its efficient performance. 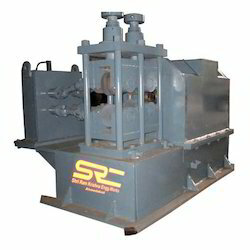 Our company is considered a trusted name in the industry that manufactures and exports Steel Bar Peeling Machine. 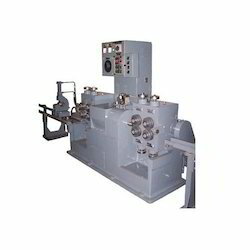 These machines are specially designed and developed in accordance with national and international standards. These efficient and durable bar peeling machines are tested for their quality and flawlessness before being delivered to the clients. Shri Ram Krishna Engg. 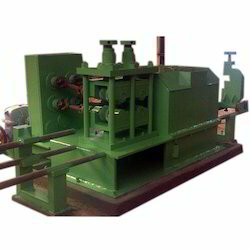 Works is a trusted name in the market that manufactures and exports precisely engineered Bar Peeling Machine. This machine can peel the oxidation and rusty or crack the surface of the hot rolled bar. Bar peeling machines are examined for their flawlessness before the final dispatch. These machines are available at market leading prices.